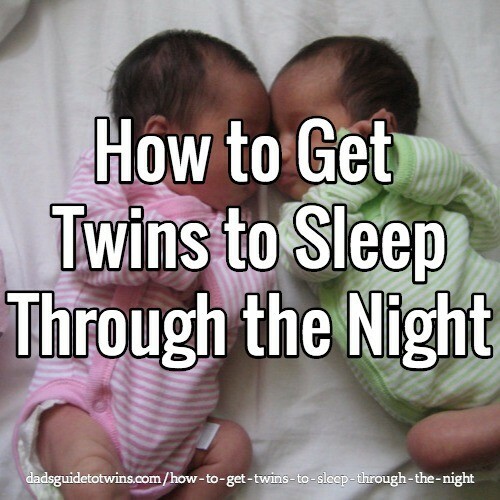 Your twins will wake up in the middle of the night for various different reasons. They may be hungry, fussy, need a diaper change, or just hit the end of a sleep cycle. Regardless of the reason for waking up, you need to train them to sleep through the night. Your goal is to get them back to sleep as quickly as possible. The sooner they sleep, the sooner you will sleep. Think about how you interact with your twins when they wake up in the middle of the night. Do you turn on the light and greet them with excitement just like it was play time? If this is the case, your babies will want to stay awake. When you need to care for your twins in the middle of the night, make it as boring as possible. Your twins love to play and interact with you. If you give them the chance, they will want to play even in the middle of the night. Avoid anything “fun” when you are called upon to care for them at night. Take care of the business at hand quietly. You’ll be amazed how many things you can do for your little one in the middle of the night without saying a word. Additionally, the quieter you are, the less likely you’ll wake up the sleeping twin or your spouse. 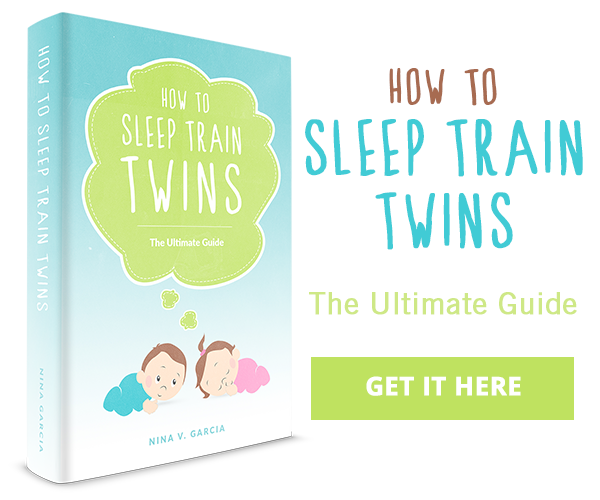 Train your twins to understand that light means daytime and dark means sleeping time. With very young babies you can do this merely with actions. For example, don’t turn on the lights in the middle of the night, or use very minimal lighting (just enough to get the job done). For example, I’ll turn the closet light on in our girls’ room and crack the door so I can get just enough light to see what needs to be done without waking everyone up. Once your twins are a little older, you can explain to them that it is still sleeping time when it is dark outside and they need to go back to sleep. However, don’t expect to reason with a newborn. Here, you’ll need to show through your actions and reactions to their behavior that it is still time to sleep. Maintain a consistent routine for bedtime and overnight. Your twins will start to see the pattern and know what to expect. If every time they wake up in the middle of the night there is nothing fun to do or see, they will soon skip the boring night so they can sleep until the exciting daytime has arrived.